Versatile, sleek and sumptuous, this high-performance foundation brush is the ideal shape, density and texture to achieve the most seamless finish possible. 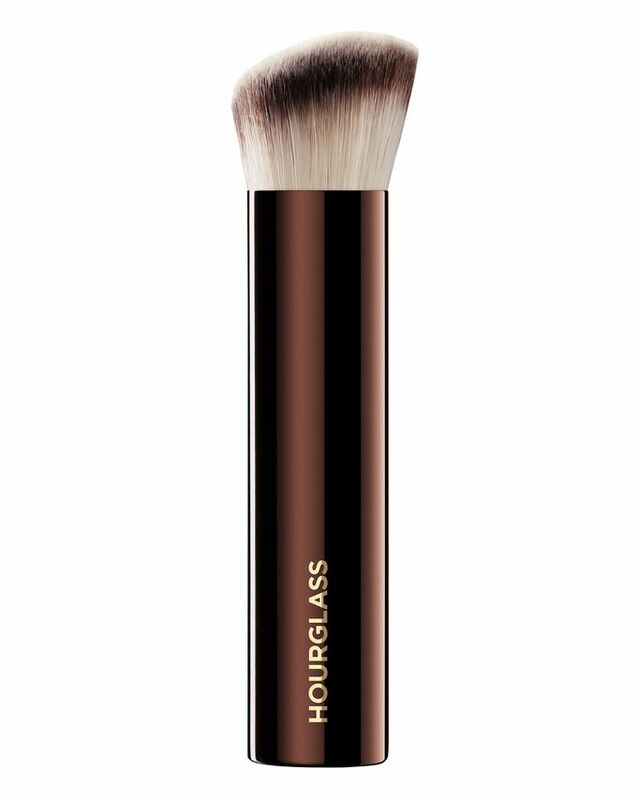 The perfect partner to Hourglass’ Vanish Seamless Finish Foundation Stick (though just as good with any other formulation) the brush’s unique shape fits easily into all contours of the face with uniquely crimped bristles that provide perfect control. The vegan brush head is crafted from PETA-approved Taklon bristles (a hygienic, less irritating alternative to animal hair), while the weighted metal handle provides effortless control – and a welcome touch of luxe – to any make up collection. High-performing and luxurious, Hourglass’ Vanish Seamless Finish Foundation Brush is the perfect partner to the brand’s beloved Vanish Seamless Finish Foundation Stick or Vanish Flash Highlighting Stick (though it can also be used for all manner of make up artistry). With a sumptuous (totally vegan and PETA-approved) supremely soft texture, the brush head is a unique shape that fits into all contours of the faces, even those harder to reach areas around the nose and eyes. The weighted metal handle provides control and effortless application and blending, while the Taklon bristles provide a more hygienic and a cruelty-free alternative to animal hair. I bought this when I bought the vanish stick foundation (which I love but I only use when I'm going out in the evening as it looks beautiful but doesn't last long enough for a 14-hour workday). I had previously been using a stippling brush from mac that I had been using for 7+ years. I tried it recently with my everyday foundation (Estee Lauder double wear light) and it is amazing. It is a really dense brush so it doesn't leave any streaks but it moves enough that you can blend into the nose and under the eyes. I have found it hard to find good synthetic brushes but this is amazing. It looks beautiful, it's incredibly soft and high quality. I haven't noticed any fallout either with the bristles. New staple foundation brush. Love this.